If you don't have shallots then feel fee to use onion instead. You can also add some black or red pepper to spice up this dish. When cooked, kale shrinks quite a bit. Double or triple this recipe if you are cooking for a few people. Prep your ingredients! Mince the garlic into about 1/8 inch cubes. 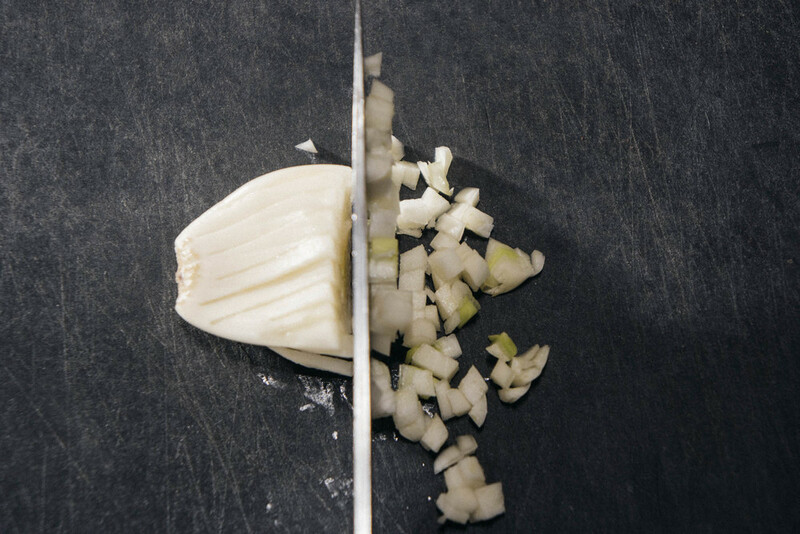 Chop the shallots into 1/8 inch slices. Julienne the sun-dried tomatoes into 1/4 inch pieces. Remove the stems from the leaves of kale and chop into 1 inch pieces. Slicing the shallot (rather than dicing it) helps you avoid small burned bits at bottom of the pan. You can buy sun-dried tomatoes in oil, whole or julienned. You can also buy julienned, smoked sun-dried tomatoes, which are the type I used. If you are a bacon lover then start with the bacon! Place the bacon in a cast iron skillet and turn heat to medium to medium high. Flip bacon as necessary. I recommend pulling your bacon out a minute before it looks how you like it. It will cook a bit more and crisp up after you remove it. You want it crispy, not burnt. Remove bacon from pan and let drain on paper towels. Use the oil from the bacon in place of coconut oil and follow the steps below. If you want to keep your dish veggie only then omit the bacon and start here. Heat the coconut oil in a non-stick skillet on medium heat. Add the minced garlic to the oil and cook for 15-30 seconds. Add sliced shallot and cook for 30 seconds. Cooking the garlic and shallot first will flavor the oil before you cook the kale. The garlic and shallot are cooked quickly so it doesn't burn as we cook the kale. 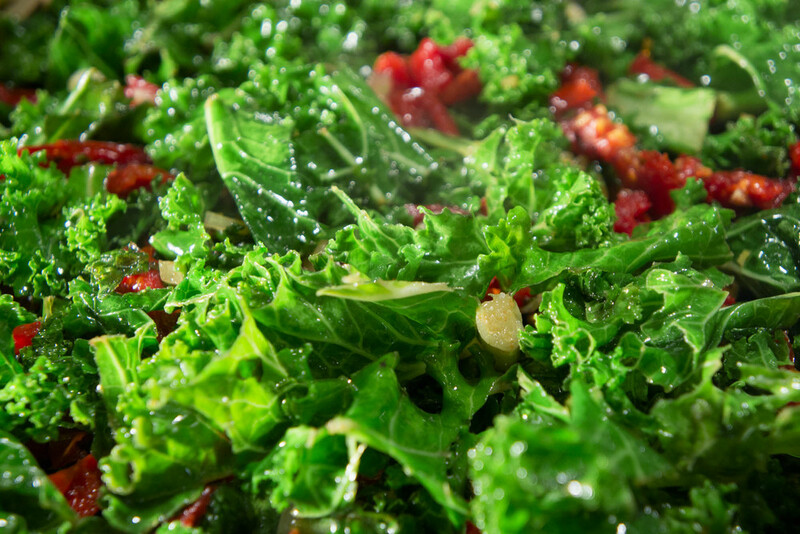 Add the sun-dried tomatoes and kale to the pan and cook for about 5 minutes. Salt to taste. If you used bacon, crumble the bacon over the cooked kale and serve.